Radio Media Tour interviews usually last between five and ten minutes and are either live, live-to-tape, or taped. Be comfortable. Recognize that you’re the expert in the industry and the reporter is interested in talking to you about your field of expertise. Be prepared to talk about the basics of your area of expertise or your outreach campaign, and to talk about it in layman’s terms. Smile, stand-up, use your hands. It may sound silly, but smiling, standing up or using your hands when speaking can have a large impact on your speaking voice for your Radio Media Tour. Facial or physical movement can be projected in one’s voice, so, in order to come off friendly and confident, don’t be afraid to move around or smile. Be relatable. When talking to the reporter about your field of expertise, remember to be relatable. Use terms a general audience is familiar with and define acronyms if needed. Tell anecdotes or make comparisons to known events so Radio Media Tour is relevant to listeners. Have water nearby. Make sure to drink plenty of water before and in between interviews during your Radio Media Tour to remain hydrated and retain a clear-sounding speaking voice. Taped Interviews. If you’re doing a taped interview, avoid saying the host’s name. It’s likely that the host will cut and play the interview throughout different timed-segments for the resulting Radio Media Tour. 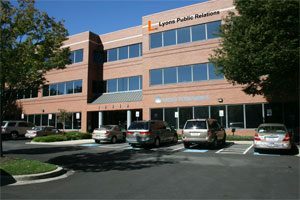 To learn more or plan a Radio Media Tour contact your Lyons PR team today. ← How are Radio Media Tour Interviews used?